Fibre cabling is the core of today’s datacom networks. 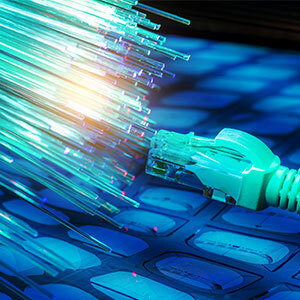 Optical fibre is the predominant media type for mission-critical datacenter links, backbone within buildings, and longer distances for campus networks. A fibre cabling is a network cable that contains strands of glass fibers inside an insulated casing. They’re designed for long distance, very high-performance data networking, and telecommunications. Since, optical fibre cabling consists of one recognized cable type for horizontal subsystems and two cable types for backbone subsystems. Therefore, our fibre cabling solutions advance the efficiency of your layer one infrastructure. Therefore, don’t risk the performance of your network or installation by installing cheap grade fibre. If you are looking for high-grade telecom grade fibre products Mavis Group will be your number one choice for your cabling solution. In addition, we also offer an onsite fibre termination facility right here in Sydney. Since, fibre optics cable construction are smaller and more flexible against the conventional copper-based leads, fibre optics are made of a single strand of glass, but it is stronger than steel. Furthermore, at Mavis Group we provide world-class quality fibre optic cables in OS1 , OM1 , OM3 & OM4 in many terminations and lengths and fibre couplers. So, no matter the size of the job, we can help with your install. In today’s global data communication evolution optical fibre plays a major role in connecting both ends.